Excellence is a short flight away from the city of Kodiak! We can fly you to the Hottest fishing on Kodiak Island. Call for charter rates to popular locations, or we'll help you plan a custom trip to your favorite spot. We can design a customized fishing package to suit your budget and individual needs. Prices vary greatly according to your destination, and the other points that make this trip unique for you. Day trips or Raft rental for float trips are available. If you are interested in a Lodge, cabin or remote camp, we can give advise to help you choose a situation that will meet your needs. 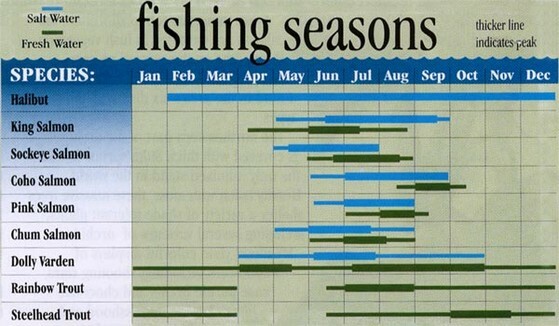 If you are considering a fishing trip, please contact the ADF&G for information on Licences and Regulations. 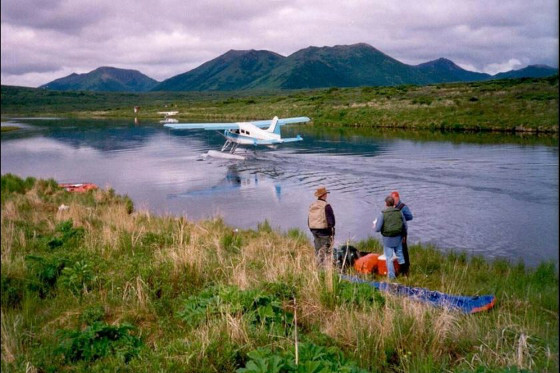 If you are traveling to the Karluk River, you will need a special use permit available from the Kodiak National Wildlife Refuge, the current managers of Koniag Lands on the Karluk. The permits are free and are available at their site, KONIAG EASEMENT PUBLIC USE PERMIT APPLICATION SITE Apply early, as during the peak of the King run, access is by Lottery Drawing only.